Not to indulge too dramatically in hyperbole, but I think I might have actually witnessed a real life living legend in real life this week. Seriously and for real. 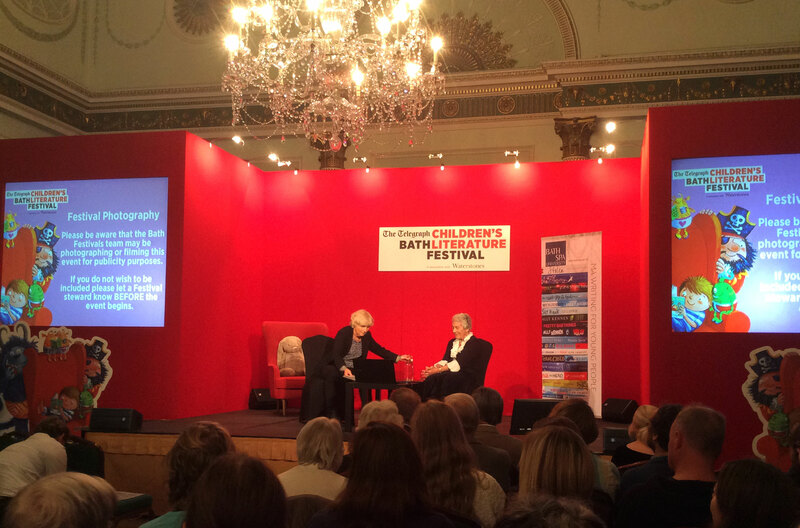 Yep, as part of the Bath Children’s Literature Festival (of which I have been a devoted attendee for the past 3 years) I attended a talk by none other than the charming and, quite frankly, utterly enchanting Judith Kerr. Apologies for the camera, but the lady herself shot of our glamorous, Bath Guildhall. An absolute staple of British children’s bookshelves everywhere, Kerr is one of those awe inspiring talents whose timeless works effortlessly span generation after generation, capturing imagination and breathing life into young minds with simple tales of simple pleasures. And really, who can’t relate to those? From her magnificently quirky tales of enigmatic tigers and their casual visiting habits, to the familiar madness of cats, old ladies and, most recently, baby seals in the bathtub (yep), Kerr’s work has inspired and excited so many from the pages of her timeless titles, that I simply couldn’t be expected to resist the opportunity to see this godlike mother of charm in the flesh. And what was she like? Well, she was everything I hoped she would be. She was an embodiment of her books; a perfect personification of charm, wit and warmth. She was the perfect house guest, she was the maddest aunty, she was the reckless old lady and she was the sweetest grandmother. She was peculiar and adored and she was creativity in it’s purest form. Led by the insightful questions from, Julia Eccleshare, Kerr wove elegantly from story to story, recounting memories and experiences that eluded to a, seemingly remarkably strange, lifetime; extractions of which formed the basis of every one of her tales. Yet, as she spoke, with her enchantingly perfect comic timing and an unchallenged humbleness, it occurred to me with warmth that she was a true genius of creativity. Because really, her life had not been so grand or elaborate as first thought. Certainly not as much as you may expect from someone born in such turbulent times. Do not get me wrong, there had been interesting events most certainly, but I challenge any full life not to suffer a few of those during it’s progression. No, I honestly believe that the true magic of Kerr’s work lay in it’s simplicity. It was her own wonderful eccentricity, that enabled her to extract those marvelous tales of curious wonder from family memories with the green bean obsessed cat. It was her interpretation and examination of the minutia of everyday life, and vitally the people in it, that transcended so well into, seemingly magical stories and eccentric, yet inherently familiar characters. Every one of us can conjure memories akin to those of family outings to the zoo, observations of adored yet barmy pets or childhood fondness of strange artefacts in our parent’s studies (admittedly a stuffed seal is a bit of a weird one), yet it is only a true genius of creativity that can take these everyday occurrences and use them to build tales of so much whimsy that they can, without fail, capture the imaginations of every reader lucky enough to consume them. 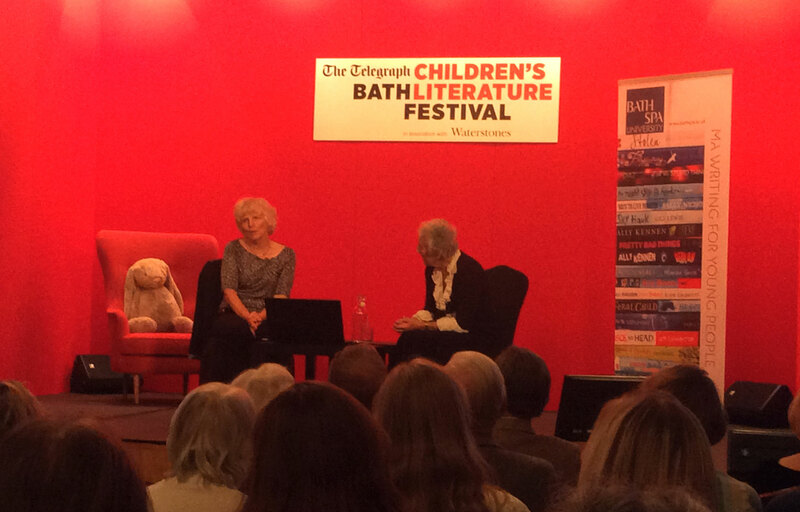 From this week’s brief insight into the world of Judith Kerr, I feel I came a step closer to understanding and sharing in the magic of her books. Throughout the course of the evening, a simple and charming truth became apparent. The magic of Kerr’s world was not due to a incomprehensible and unreachable grasp of the imaginative process, but rather a reflection of her own personality. Her books are a public extension of herself, in all her quirk, enigma and warmth. From the moment she began speaking, I was entranced by her. The presence held by her slight and delicate physical frame was instantly eclipsed by the immediate reveal of her sharp wit and, subsequently, her strong and enigmatic character. I could not help but draw parallels between this wonderfully sharp storyteller in front of me and the enigmatic whimsy I associate with her name. She was seemingly as timeless as her stories; a testament to the strength of result when the illustrator becomes a personal presence within their work. Perhaps some, no less talented, practitioners do write and illustrate successful worlds on queue, do create independently of themselves, simply to fulfil the goal of entertaining an audience, but I struggle to deny the magic of writing for yourself, with the joy of appeasing your own indulgences. It is through this process that one captures a genuine joy in order to share with others. I think it is these books that communicate a timeless magic. An honesty that cannot be manufactured. 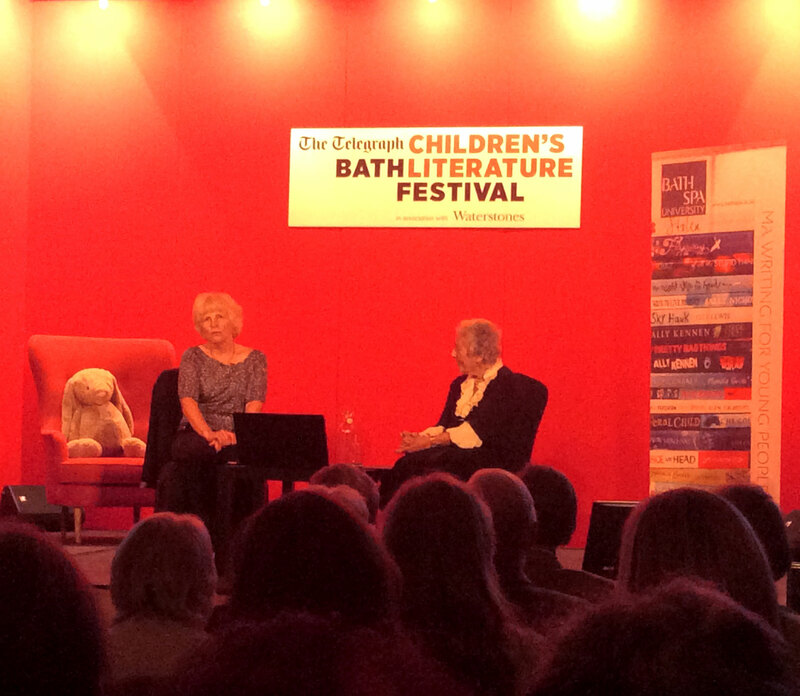 Disappointingly, as there was no book signing a this one, I did not get to meet Judith. But her presence was so entrancing, I felt as though I had. A personality like hers is a joy to come across and I only hope one day my own work, and indeed myself, can speak with such as unique yet universal voice as hers. And even if this is all just starry eyed hyperbole, one thing is for sure. 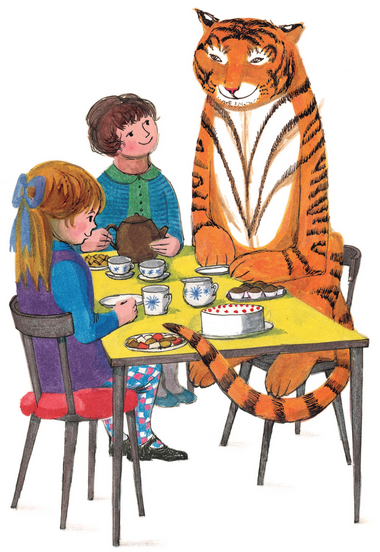 I would absolutely love to have Judith Kerr over for tea. And I wouldn’t complain a bit it she emptied my cupboards.